Jack Skille: What to Do with the Blackhawks Prospect? For a lot of Blackhawks fans, Jack Skille is a four-letter word. He’s a guy who’s been the next-best-thing for long enough that many feel his time has past, and yet his time might still be coming. Why do we seem to hate Skille so much, and what should the Hawks do with him? Let’s get to know Skille a little better. 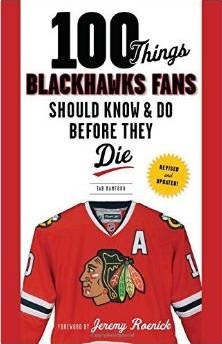 First, the case for why Blackhawks fans don’t like Skille. The Blackhawks draft Skille with the seventh overall pick in the 2005 draft, a class that was headlined by the top pick, Sidney Crosby. There was a lot of good talent off the board by the time the Hawks got to pick (Crosby, Bobby Ryan, Jack Johnson, Benoit Pouliot, Carey Price and Gilbert Brule were the top six), but the problem the Hawks have is the classic Chicago “What If” game with names that followed Skille’s selection at seven. And that’s just the names from the first round. Mac-Edouard Vlasic, Justin Abdelkader, Paul Stastny, Guillaume Latendresse and Mason Raymond all went in the second round. Kris Letang, Kris Russell, Evan Brophey, Jonathan Quick, Jared Boll, Keith Yandle, Darren Helm, Matt D’Agostini, Sergei Kostitsyn and Patric Hornqvist were all selected after the second round in that class. Heck, the Blackhawks drafted my favorite young player on the current roster, Niklas Hjalmarsson, in the fourth round that year. Because so many quality players were picked after Skille in 2005, the fact that we’ve only seen limited action with moderate productivity from Skille, the knee-jerk reaction to his “career” has been that he’s a bust. And there’s still a good chance that Skille is exactly that. But let’s pause for a moment and consider what the Hawks have in Skille, and why we haven’t seen much from the young winger. Look at some of the guys that have broken into the NHL roster in the last four years. Jonathan Toews, Patrick Kane, Kris Versteeg and Dave Bolland have all broken into the lineup as puck-moving, scoring, skating forwards on the top two lines. These guys have been complimented by additions through trades or free agency by Marian Hossa, Andrew Ladd and John Madden to fill out a lot of the top three lines. When you add home-grown Dustin Byfuglien’s transition from defense to the front lines, where is the room for Skille to fit with the NHL roster? He isn’t a center, so somehow he would need to crack the top-six wings on the roster to break in. Skille isn’t going to be a glove-dropping wing, either, so taking the spot of Ben Eager, Adam Burish or Colin Fraser hasn’t happened, either. Skille’s been solid for a few years in the minors. This year, Skille’s having agruably his best season as a professional in Rockford, too. 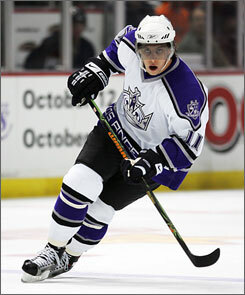 In 42 games, he has 35 points (16 G, 19 A) and was an AHL All Star. Last year, Skille had 45 points (20 G, 25 A) in just 58 games. He’s been a productive forward in Rockford who just happens to have a concrete ceiling over his head because of the talented roster in Chicago. Oh, and he’s still only 22 (he’ll turn 23 in May). And yet because he hasn’t produced instant offense when he’s had the chance in Chicago (eight points, -5 in 30 career NHL games), the jury appears to have pushed him into the “Bust” category for good. 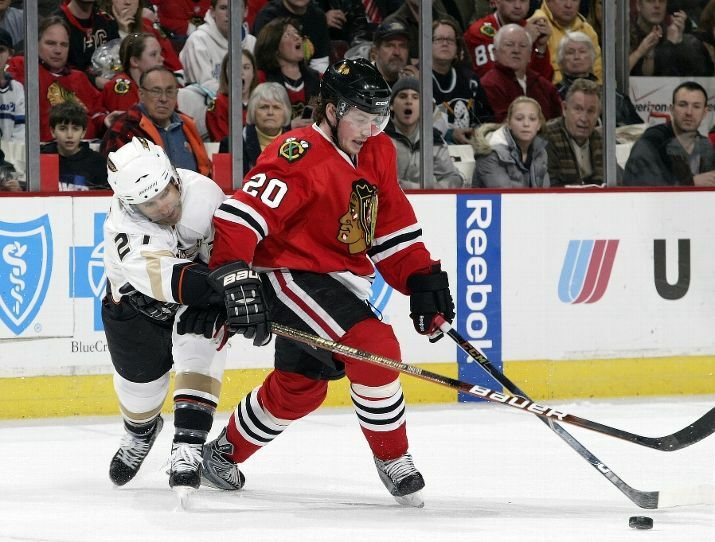 As the 2009-10 season progresses, the options for Skille will likely remain in Rockford. Because of where he was drafted, he has a cap number of over $1 million, which is higher than some of the names that have been in Chicago more often this year. But Bryan Bickell and Jake Dowell haven’t put up nearly the same production in Rockford that Skille has, and likely wouldn’t be expected to at the next level. A lot of the reason that those two were called up earlier this year over Skille was because the Hawks needed more size on the fourth line when Eager was out, too. Skille’s listed at 6’1 and 205 pounds, so while he has decent size (a giant next to Kane and Versteeg), he isn’t big enough and doesn’t play a rough enough game to replace Eager in the lineup. Most talent evaluators have moved on past Skille as well. Hockey’s Future, one of the top prospect rating sites, ranks Skille as the Blackhawks #6 prospect behind Kyle Beach, Akim Aliu, Dylan Olsen, Shawn LaLonde and Billy Sweatt. However, this evaluation is on long-term potential, not on more immediate production capability. Skille is the most NHL-ready player in the Hawks system. Let’s jump to the here and now. Despite that concrete ceiling, Skille still has value to the Blackhawks. Because of his production in Rockford and age, and his restricted free agent status after this year, Skille will be a popular trade chip between now and the deadline. He could step into the lineup for a lot of NHL teams on their third line and be a productive player right now. However, between now and the trade deadline, the Blackhawks’ tinkering and likely look toward bolstering the blue line will likely involve moving salary off next year’s payroll, though. Versteeg, Byfuglien and Patrick Sharp are NHL players that have a track record that makes them attractive to other teams while their price tage (all over $3 million) mean their likely to be moved to create the necessary cap flexibility for next year. This is where Skille fits in. As the Hawks look to make next year’s team affordable under the cap, Skille could become a player Chicago fans get to watch more. There’s a very good chance that next year, the then-23-year old Skille could be a contributing member of the Hawks’ third line, and could be around for a few years to come. Given his success in Rockford, and the Hawks need to move salary, it certainly isn’t time to write off Skille as an NHL player.